Bordered by rolling farmland and with the dramatic coastline of the North Sea within sight, Chapelton is ideally-positioned to make the most of Aberdeenshire’s spectacular scenery. But while you may be aware of the town’s beautiful surroundings, are you aware of the centuries-old heritage of the area? We look at five things you may not have known about Chapelton. The 2.4-mile long Chapelton trail incorporates part of the Causey Mounth; an old drovers’ road created as the main route between Stonehaven and the Bridge of Dee Aberdeen over 800 years ago. While large sections of the route are now farmland, the path still acts as a causeway over boggy areas such as Portlethen Moss nature reserve. As it was once the main route north into Aberdeen, the road was used by famous names as diverse as King of England Edward III, politician Oliver Cromwell and Scots poet Robert Burns. From the 18th century onwards, it was used to take cattle to market until the route of the modern-day A90 began to be developed. Hume Square, Murray Street, Nether Cairnhill – have you ever wondered about the etymology of the names used throughout the town? As a modern community which looks to the best traditions of Scottish design, Chapelton commemorates those who have contributed to its creation, as well as those who have played a formative role in Scottish culture. Hume Square is named after the famous philosopher David Hume, who forwarded the concept of empiricism, where human knowledge is created mainly from experience. Other areas, such as Cairnhill, have been named in recognition of their geographic location. The town of Chapelton itself takes its name from a small hamlet of a few houses located near Elsick House, giving the town a centuries-old link to the local area. One idea for future names of the town will pay homage to north east heroes who have won a Victoria Cross. Currently the home of the Liberty Retirement Living sales suite within Chapelton, the Liddell Hut will be our bustling community hub in future. The Liddell Hut is named in honour of Eric Henry Liddell; a Scottish Olympic Gold Medallist runner, Christian missionary and international rugby player. 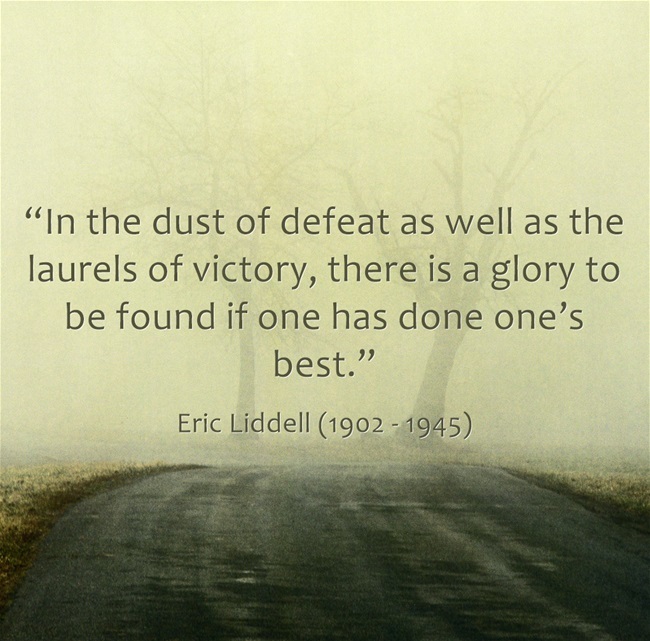 Liddell was known for his refusal to run in heats for 100 metres race at the 1924 Summer Olympics as they were held on the Sabbath, and his exploits were brought to a bigger audience in the 1981 Oscar-winning film Chariots of Fire. Located immediately south of Chapelton, the Burn of Pheppie is a picturesque stream which wends its way eastwards until it reaches the North Sea north of the coastal village of Muchalls. Along with the Burn of Elsick to the north and the Burn of Muchalls to the south, the Burn of Pheppie is responsible for draining water from agricultural lands. Keep an eye out on your next riverside walk for the infamous ‘golden-green’ hue of the riverbed. This phenomenon occurs in certain areas because of the prevalence of quartzite rocks and the acidity level of the water flowing through the route. Chapelton’s use of welcoming pedestrianised and public spaces is typical of a civic planning direction known as New Urbanism. This planning and development approach values communities which can be covered by foot or on bikes as well as in cars. Housing and shopping are placed in close proximity, with accessibility for all one of the main forces behind Chapelton’s welcome layout. By providing public spaces such as Hume Square, Chapelton aims to create a lively community based around public interaction. What other facts do you know about the region? Let us know by commenting below. Almost every time we provide our address we are asked about the Bell Rock connection. We have enjoyed researching all about the Bell Rock Lighthouse 11 miles off the Angus coast. Built using Aberdeen granite in early 1800’s by Robert Stevenson. Excellent Museum at Arbroath is worth a visit.